To boldly go where no government employee has gone before." Thus begins a six-minute "Star Trek" parody starring IRS employees and paid for with your tax dollars. It's not likely to go over well with some Americans and members of Congress, especially since federal agencies have been complaining that it's difficult to find trims under forced sequestration. CBS News filed a Freedom of Information request asking for the video after the IRS earlier refused to turn over a copy to the congressional committee that oversees tax issues: House Ways and Means. According to committee Chairman Charles Boustany, Jr. (R-LA), the video was produced in the IRS's own television studio in New Carrollton, MD. The studio may have cost taxpayers more than $4 million dollars last year alone. 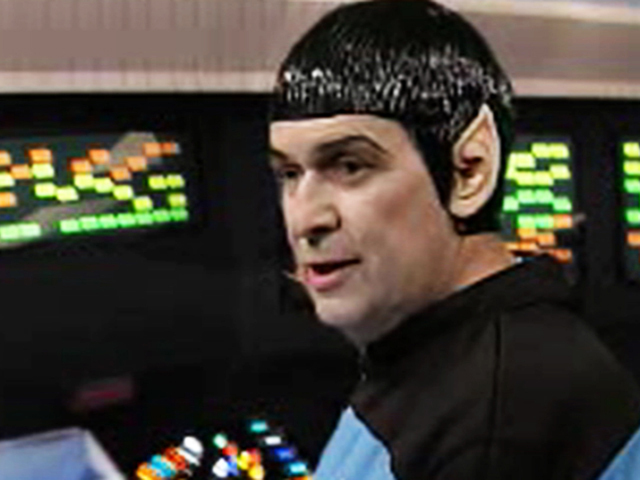 According to a statement from the IRS, the "Star Trek" video (see above) was created to open a 2010 IRS training and leadership conference. "Back in Russia, I dreamed someday I'd be rich and famous," says one crew member in the parody. "Me too," agrees another. "That's why I became a public servant." And the two fist bump. A separate skit based on the television show "Gilligan's Island" was also recorded. The IRS told Congress the cost of producing the two videos was thought to be about $60,000 dollars. IRS Acting Commissioner Steven Miller said in a statement that one of the two videos was played in 400 locations and saved taxpayers $1.5 million over what it would have cost to train employees in person. Nonetheless, the IRS issued a statement that reads: "The space parody video from 2010 is not reflective of overall IRS video efforts, which provide critical information to taxpayers and cost-effective employee training critical to running the nation's tax system. In addition, the IRS has instituted tough new standards for videos to prevent situations similar to the 2010 video." In response to the release of the "Gilligan's Island" parody, the IRS said in a statement, "This approach reflects a newer IRS model of using video to dramatically save on training and travel costs. Using video provides a more cost-efficient way of doing business than face-to-face meetings." The IRS explained that the "Gilligan's Island" segment is the introductory part of a 12-hour video training series for IRS employees. "The 2011 series was used to train 1,900 taxpayer assistance employees in approximately 400 locations across the United States, saving an estimated $1.5 million as compared to the potential costs to train these employees in person," the IRS statement said. This week, Rep. Boustany called on IRS to give a full accounting of production expenditures at the television studio. Last year, a controversial General Services Administration (GSA) video surfaced. In it, GSA employees sang and joked about wasteful government spending. It had been shown at a 2010 government convention. Several GSA officials lost their jobs over the controversy. Investigative Producer Kim Skeen contributed to this report.